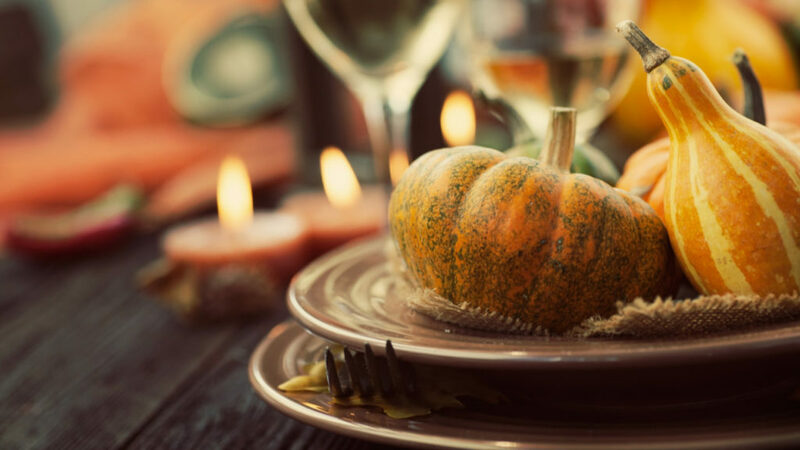 Americans celebrate Thanksgiving this week, a holiday Abraham Lincoln designated in the midst of the American Civil War to pause and show gratitude. I look forward to this day every year, and have the sweetest memories of my friends and family coming together. Something I’m struck by in our modern celebration of this holiday is how it is one of the few times a year that we pause to create time and space for conversation. Families and friends get to dig in and really talk to one another. There is usually a turkey involved, a lot of stuffing, sweet potato and pumpkin pies, and maybe even some football on TV. We stop the busyness, we look up from our phones, and we talk. We cook, we laugh, we talk. I never thought I would find talking so remarkable. How many times have you been in a conversation that was derailed because someone checked their phone? This occurrence is so commonplace that it is unlikely that anyone noticed. If you did notice, you probably felt a tiny little tingle of disappointment but brushed it off as fast as you felt it. This is modern day emotional resilience. Do you want to hear something crazy? It’s not just the interrupting phone that is detrimental to conversations — the silent phone kills conversations before they even start. What this shows me is the power of human intuition. Pause for a moment to think about the consequences of this idea – if the mere presence of a phone limits your connection with another person, how might that affect your love life, your classroom dynamics, your family dinner time, your work dialogue, your interactions with your kids? 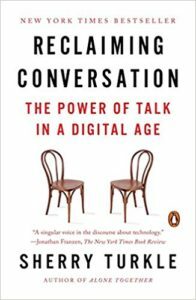 In the midst of the layers and depth she adds to her argument throughout the book, Sherry Turkle asserts, “Eye contact is the most powerful path to human connection.” Life is just too short. We need to open our eyes, have deep, honest conversations, and really connect with one another. This is a lesson I need to learn again and again despite how strong my convictions are. Check out Turkle’s book if you have time to reflect and take an honest look at your relationships in the near future. 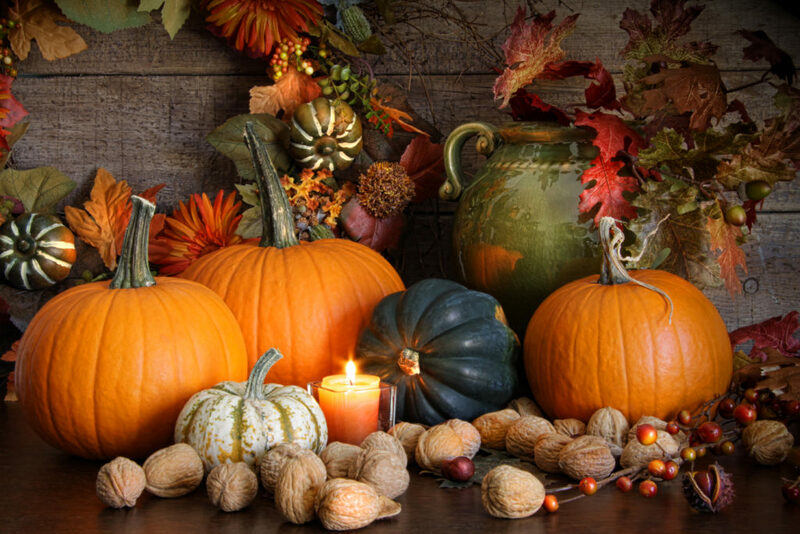 I’m so thankful you are a part of our community; I hope you have a great weekend and an even better holiday. Lord, how we need to learn to truly connect with one another in this connected age.